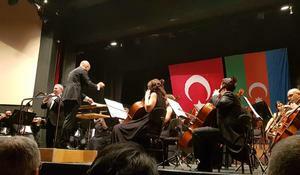 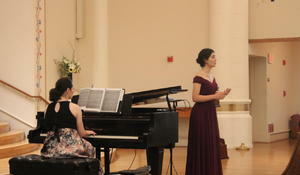 A gala concert in honor of the 100th anniversary of the Azerbaijan Democratic Republic was held at the fourth largest city in Turkey, Adana. 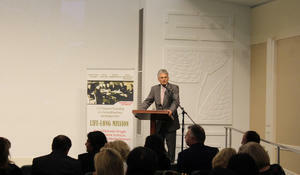 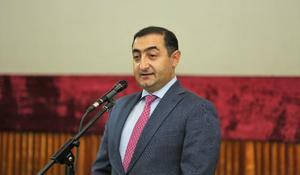 Within the framework of the event dedicated to the 100th anniversary of the Azerbaijan Democratic Republic entitled as "Lands inherited from our great ancestors", a film was presented about the historical lands of Azerbaijan with the participation of public figures, scientists and representatives of youth organizations, the Chairman of the Baku Club of Political Scientists Zaur Mammadov told Trend. 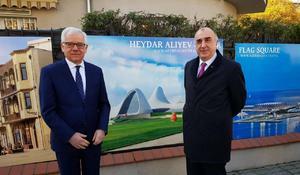 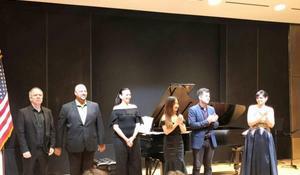 An event dedicated to the 100th anniversary of Azerbaijan Democratic Republic (ADR) was held in Los Angeles on November 8, 2018, Azerbaijan’s Consulate General in Los Angeles told Trend. 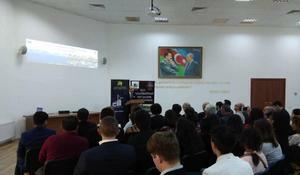 A documentary film "Trip to Eternity" was screened at Tajikfilm studio in Dushanbe at the initiative of the Azerbaijani Embassy in Tajikistan on October 30. 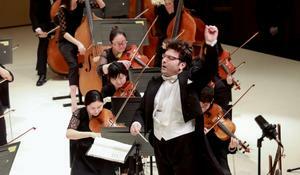 Yunnan Grand Theater in China hosted a gala concert timed to the 100th anniversary of the Azerbaijani Democratic Republic and the 100th jubilee of an outstanding composer Gara Garayev. 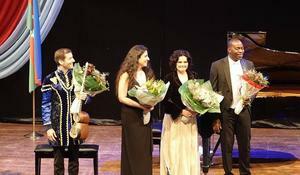 Azerbaijani musicians brilliantly performed in Nigeria at the "Silk Way" concert dedicated to the 100th anniversary of the Azerbaijan Democratic Republic.